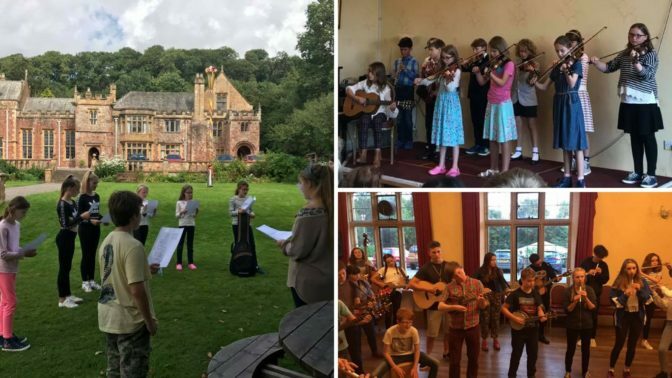 Following on from the huge success of Halsway’s Hothouse youth residential courses we are pleased to announce Halsway Young Folk – Juniors for ages 8 – 12. Led by experienced teacher-practitioner Claire Bailey, this short residential will be filled with fun and creative folk activities, using local traditions and customs as inspiration. Children will explore music, dance and song, and create and perform a show for family and friends. Arrive Tuesday at 11:30am; there will be a performance by participants at 11:30am Thursday, followed by farewell picnic in the garden – family and friends welcome! A fun, short residential course for ages 8 – 12. You might enjoy music, song and dance, but you don’t need to play an instrument or be an expert!